Utes were leading in the fourth quarters of losses to Oregon and Oregon State. Utah's women's basketball players and coaches will view losses at powerful Oregon and Oregon State as missed opportunities that affect their standing in the Pac-12, but those defeats hardly hurt them in the AP Top 25. The Utes (18-3) fell only three spots to No. 17 in Monday's rankings. BYU (17-5), formerly No. 25, dropped out of the poll after losing at Loyola Marymount and Pepperdine. Oregon is now No. 3, Oregon State is No. 7 and Arizona State, the other team that beat Utah, is No. 20. The Utes, with eight active players, have led in the fourth quarter of all three of their losses. Utah rallied to go ahead of Oregon on Friday, before the Ducks surged and won comfortably (87-65) as they overcame the 38-point effort of Utah forward Megan Huff. 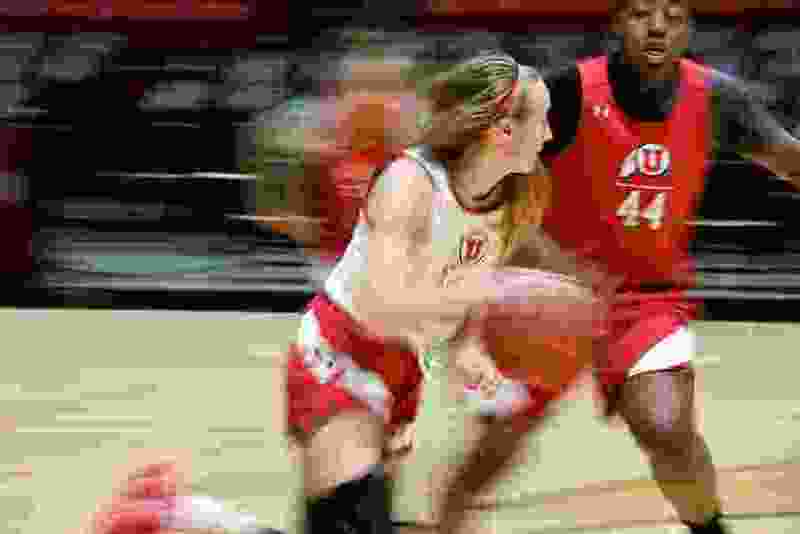 On Sunday, the Utes led Oregon State for most of the first three quarters and briefly moved ahead in the fourth period after a 3-pointer by Sarah Porter, only to fade in a 71-63 loss. Utah fell to fourth place in the Pac-12 at 7-3, one game behind No. 11 Stanford and one game ahead of Arizona State and UCLA. Thanks to the Pac-12′s scheduling rotation, the Utes' remaining eight regular-season games all are against teams below them in the standings, beginning Friday night vs. USC (13-8, 3-7) at the Huntsman Center. UCLA visits Utah on Sunday. The scheduling advantage gives the Utes an excellent chance of earning a top-four seed in the Pac-12 tournament in Las Vegas. Stanford plays Oregon and OSU this week and ASU faces those teams to conclude the schedule. Utah owns the tiebreaker with Stanford, due to a 75-68 victory. Monday’s ESPN Bracketology kept Utah as a No. 6 seed in the NCAA Tournament; BYU became the “first team out” of the at-large field. BYU spent one week in the rankings, having upset Gonzaga, before losing 61-58 at LMU and 79-65 at Pepperdine. The Cougars fell to 9-2 in the West Coast Conference, one game behind No. 13 Gonzaga, and received only one vote in the poll. BYU will host Saint Mary’s on Thursday morning.